Central State University’s vision is to provide health and wellness services that enhance the educational experience of our students in a supportive and professional environment. 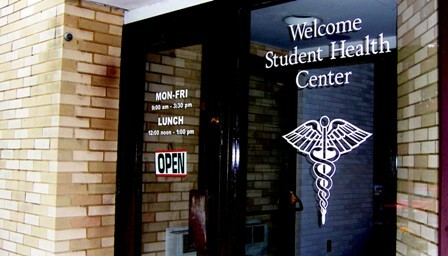 The Health & Wellness Center would like to be an integral part of your life while completing your studies here at Central State because your physical and mental health influences your academic performance. The center understands there are multiple dimensions of wellness that must be addressed to help students succeed at CSU. In addition to a health clinic, the Center houses Counseling Services, Disability Services, a Relaxation Room, and a Study Resource Room. Our staff is ready to serve you, adhering to our core values of integrity; compassion; accountability; and mutual respect. Appointments are required to optimize use of your time and limit missed class time. Appointments are available between 9 am – 4 pm. Walk-ins are accepted on a case by case basis. The clinic is staffed by a family physician, nurse practitioner, and certified medical assistant/LPN. All are certified in their respective professions and collectively have over 65 years of clinical experience.